Berks County is recognized for highly-talented artists such as Christopher Shearer, John Heyl Raser, and Francis Daniel Devlan. Ever since the first painting was donated to the Berks History Center in 1904, our collection has grown to include beautiful landscapes by these artists, as well as portraits, elegant silhouettes, and well known Almshouse paintings. 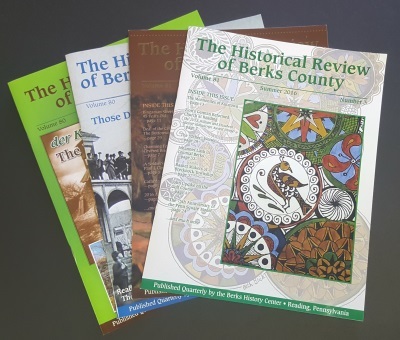 Thanks to the efforts of our volunteers, interns, and staff it is our pleasure to share our first online database of the Berks History Center’s museum collection. Searching Tips: Only single word searches are possible. A search for “Penn” would return any record containing a word that contains “Penn” (ex: Penn and Pennsylvania). If you want only records that contain the word Penn, just add a space after Penn in the search box (ex: “Penn “).